New site is up for those asking. Also a quick article I wrote today about if e-tuning is right for you. E-tuning has been wild lately! Still working on 48 hour turn around. Through the end of October we will be offering $200 e-tuning for new or existing customers with stage 1 or stage 2 2015+ WRX/STi. Use coupon code NASIOC at checkout for discounted pricing. $200 E-tunes through the end of this month using coupon code checkout on our webstore! $200 e-tunes through the end of october for stage 1/2 cars - coupon code NASIOC at checkout for discount! Another few days to take advantage of sale pricing! 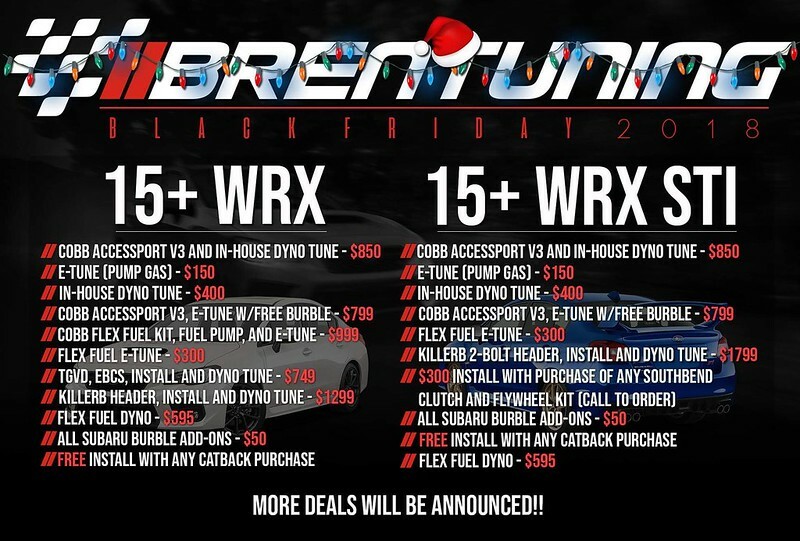 Black Friday savings on e-tuning is live! Back on the $200 e-tune train for pump gas, available until we can't keep up. Available via link below. Hey the website only lists 2015+ for the tuning service. Do you also do 2006 WRXs? Still pushing out e-tunes and burble maps all day every day! EJ/FA20 let's do it!